Spring is a time of creativity and abundance, the world sprouting alive with new vibrancy, energy, and ideas. The intense transformation during this season of new life is palpable and contagious! Amidst all of the hubbub and activity, I am reminded of something opposite yet complimentary—the vital importance of rest. I must admit, I’m utterly terrible at resting. But every time I look to nature for guidance, I get the same message: You cannot have personal growth, well-being, or evolution without rest. Horses only need 3 or 4 hours of sleep each night, but most of their days are spent resting, meandering, lolling about, and taking it easy together. Don’t get me wrong, horses LOVE being physical and love the challenge of learning something new, but for most horses their periods of active play or work tend to be brief. Most of us have adopted the modern mindset that we are only as good as the number of tasks we can complete in a day. We celebrate people who can multitask and look up to others who get by on four hours of sleep while managing complex work projects, after-school soccer practice, household bills and repairs, sending nice messages on Facebook, and keeping up with a constant onslaught of email. We don’t wonder about their relationship to self-care or what strain such unceasing activity might have on their intimate relationships or experience of life. I asked this participant how she felt about using our time together to play with her willingness to do nothing. She looked at me like I had two heads. “You mean right now? Do nothing with this horse, right now?” I smiled. “Yes, that’s exactly what I mean.” I asked her to watch what assumptions arose as she went into a space of simply being present without the pressure to do anything. At first, she felt awkward and uncomfortable. She kept offering something she might do or accomplish. I coached her to do anything that felt nourishing but without point or purpose. She took a breath and stood next to the Appaloosa combing her fingers through his mane. After about five minutes, her body started to relax. Her breath deepened and her shoulders eased. I could see that she was starting to enjoy herself and enjoy simply being with this horse. The Appaloosa could sense it too, and he stood to reposition himself, sidling up next to her so that his head was facing away from her rump was repositioned right beside her. They essentially were looking out in opposite directions. Horses do this when they are relaxing with each other so that each one can keep an eye on the landscape ahead. 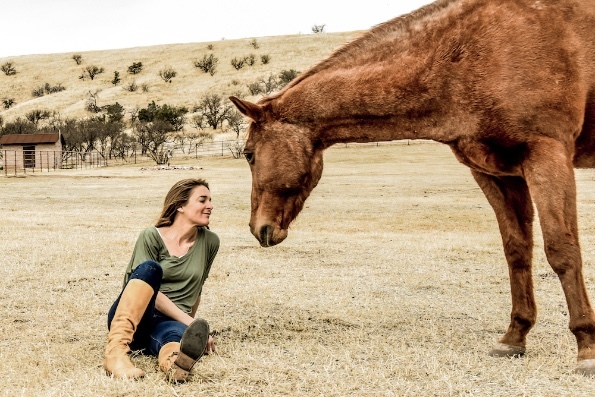 I acknowledged that most horse people would express some concern with where she was standing and where the horse had positioned himself, but the wisdom of her own body and energy state sensed correctly that the horse meant her no harm. He was actually being vulnerable with her. It was also an interesting moment to point out the pattern in her thinking. Her body knew how to rest in the presence of another but she didn’t fully trust that it was safe to do so. She reflected that in life she is prone to feeling like something bad will happen or that things might fall apart if she allows herself to rest, even for 10 minutes. She also noted that she was feeling self-conscious that the other participants watching wanted her to do something more and might think she was lazy. “Can you ask the people here what they are really thinking?” I asked. She did. Out of the other 20 people watching, not one had thought she was lazy. In fact, people shared how her willingness to just be present and relax had caused the entire audience to feel like they could sit back, let go of expectations, and simply enjoy the sunny afternoon together. This experience was a great reminder of how the intelligence of life flows through our bodies. 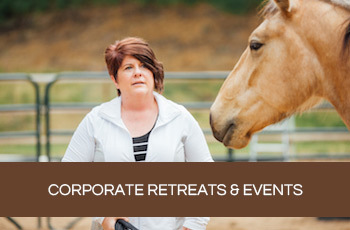 By indulging her desire to rest, the workshop participant was able to put the horse at ease and that peace and connection rippled out to everyone else in attendance. The natural world and animal world fully embrace the natural rhythms of life, so why is it so hard for us humans? As we forge ahead into the creativity of spring, let us remember this sacred balance between activity and rest, between doing and being. See if you can tune into the wisdom of your own body and listen for what it needs. Notice where our cultural obsession with doing prevents you from enjoying the beauty and peace of simply enjoying in your own being. I’d like to join you in the intentional practice of resting. If we can be brave enough to do a gentle “reality check” to ask others what they are actually thinking when we finally fully surrender into resting, we may just create a safer environment for each of us to open more wholeheartedly into the present and cultivate a new culture of balance between rest and play. I can attest to this wholeheartedly having moved from NJ to NM. After 26 years of a very stressful commute to NYC and long, long days with high demands, my body, mind and spirit were screaming for an outlet. I sold mostly all of my material possessions and left a crazy pace of life, people who felt so familiar yet I knew weren’t my true “herd” and came to a place sight unseen and took a leap of faith. 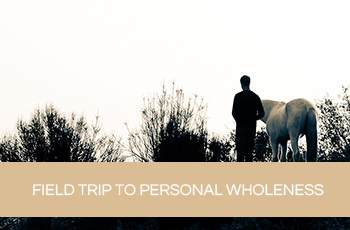 I am now enrolled in your equus life coaching program and the more I allow myself rest, space and time with horses (my sanctuary), the more at peace I become. This work is magnificent. Thank you.